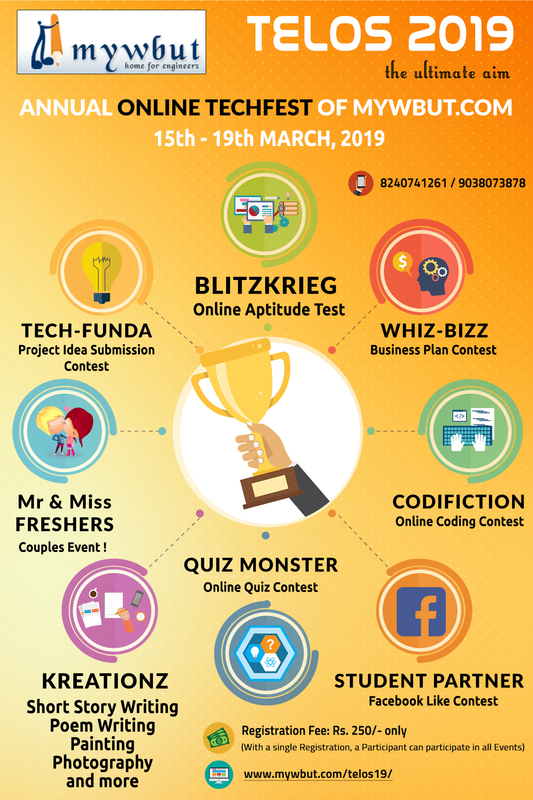 Participant can take the Test only once between 15th March to 19th March, 2019. BLITZKRIEG Test will be available in between 15th March, 2019 (10.00 AM) to 19th March, 2019 (11.00 PM). Participant will be able to access the Test anytime within Test Availablilty period. A Participant can take the Test only once . In case of any problem occurred during the Test, please mail the details along with your TELOS 2019 Registration ID to 'admin@mywbut.com' so that we can arrange re-Test. Top 250 rank holders will be eligilble for Discount in Summer Training 2019 Courses.